Fugazi was Marillion's follow-up to their debut masterpiece Script for a Jester's Tear. 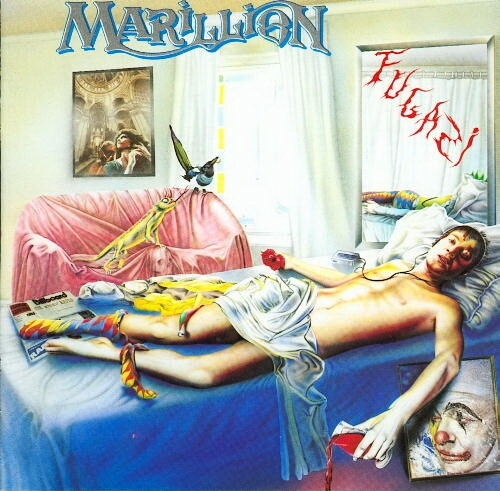 Like their debut, Marillion played a Genesis/Yes inspired brand of progressive rock with a slight AOR touch to it on Fugazi. One might be inclined to say they became more radio friendly with this album upon initial listens, especially regarding the first song on the album, Assassing, which carried an almost danceable beat to it. But with repeated listens one should notice that the rest of the material on this album is far from being average radio fare. Like their debut, Fish is a lyrical genius covering subject matter that is atypical of a rock band, let alone many prog bands. Marillion also brought in Ian Mosley on drums after firing future Arena drummer Mick Pointer. Mosley had formerly appeared on some of Steve Hackett's solo albums. To my ears, Mosley and Pointer were equally competent and skilled at their craft, so the transition to me seems seamless, although the band had tried a number of different drummers before settling on Mosley. Musically Fugazi is great, but in my opinion, not as amazing as their debut. I have always found something missing about this album and I understand even Marillion was not content with the final production of it. I'm not sure what it is that is missing. Maybe a few of the compositions could have been done differently? Maybe it's less energetic than their debut? Whatever the case may be, Fugazi is still a wonderfully interesting album and a worthwhile addition to a symphonic prog or neo prog collection. Four stars.